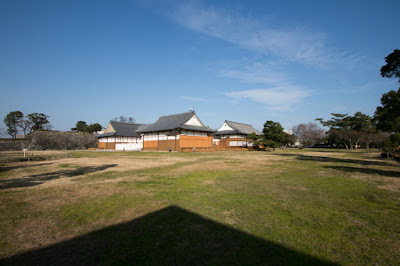 Saga castle (佐賀城) is located at the center of Saga city in the northwest part of Kyushu island. Saga area places at the center of Chikugo plain, which spreads from south part of Fukuoka prefecture to the whole part of Saga prefecture along with north coast of Ariake sea. 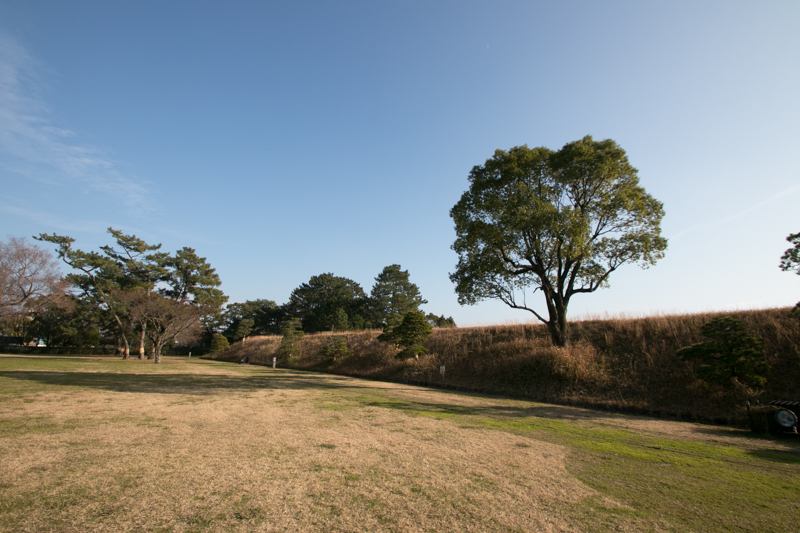 Chikugo plain is a flat land consist of numerous creeks, and suitable place for rice farming. 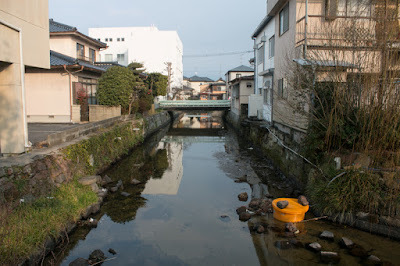 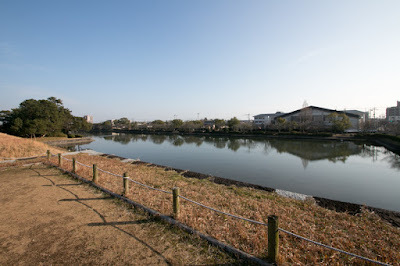 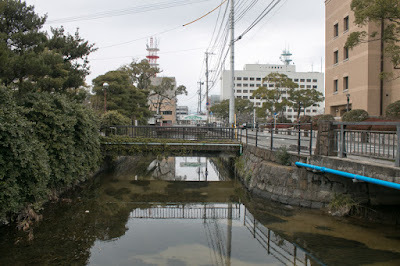 Saga area is also an important place of communication which connects northwestern part of Kyushu island such as Matsuura peninsula or Shimabara peninsula to core cities at the west part of Kyushu island such as Fukuoka city or Kumamoto city. 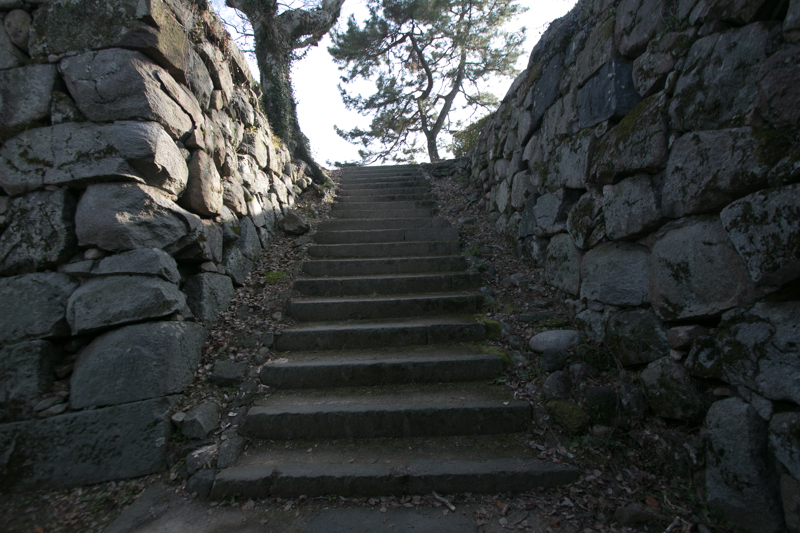 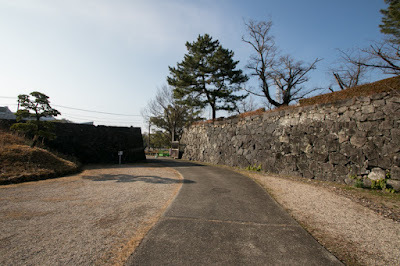 Precise year is unknown but Saga castle was built in medieval era as a residence of Ryuzoji clan. Origin of Ryuzoji clan is also unknown, but it is said that Takagi clan which was a descendant of famous noble Fujiwara clan was appointed as a local lord of this area in 12th century and transferred, then named as Ryuzoji clan using the name of their territory. 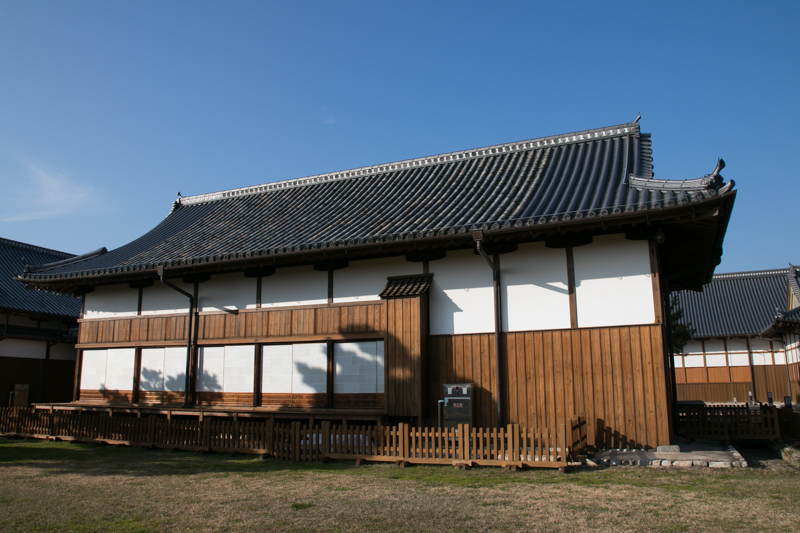 In Muromachi era, Ryuzoji clan at first belonged to Shoni clan, a high class retainer of Muromachi Shogunate which served the governor of nothern countries of Kyushu island. 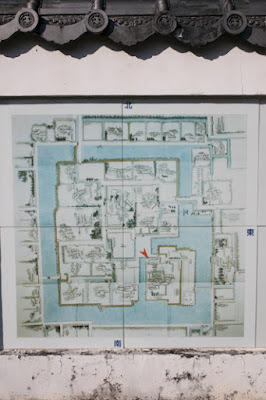 But Shoni clan gradually lost their power due to internal conflict and struggle with Ouchi clan, a strong warlord which held west half of Chugoku region, and Ryuzoji clan seeked the chance of uprising against Ryuzoji clan. In 1535, Iekane Ryuzoji (1454-1546) who was the leader of Ryuzoji clan turned to Ouchi clan, and main stream of Shoni clan was ruined by Ouchi clan. 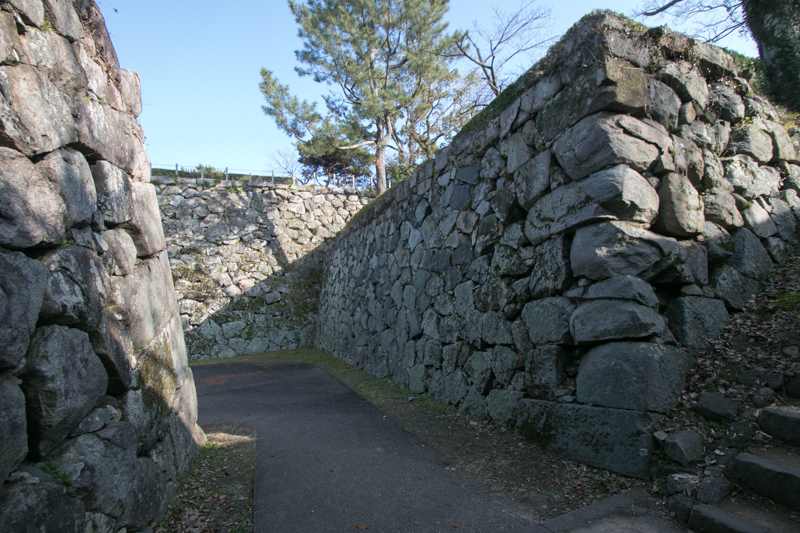 But in 1545, former Shoni people and retainers attacked Iekane Ryuzoji at Saga castle as a betrayer. 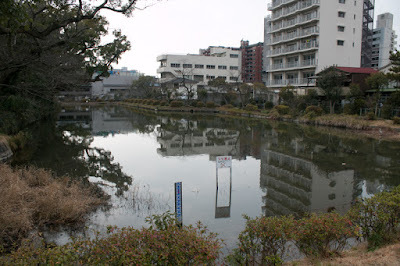 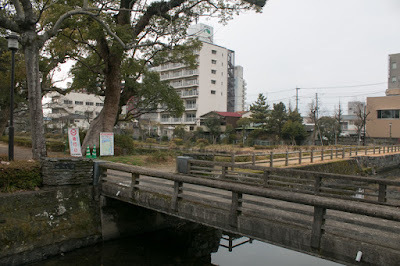 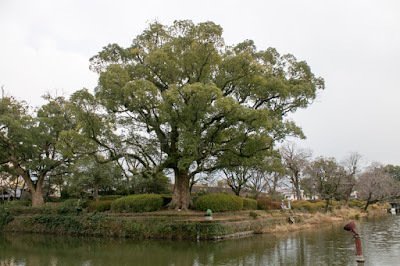 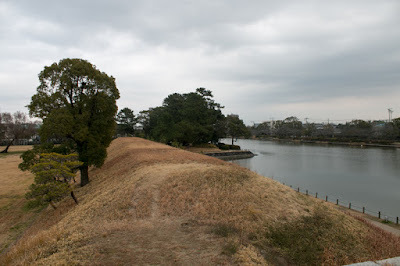 All son and grandson of Iekane was killed, then Iekane and his survived great-grandson Takanobu Ryuzoji (1529-1584) escaped to Kamachi clan, a powerful local lord of Chikugo province (south part of Fukuoka prefecture) opposite of Chikugogawa river. 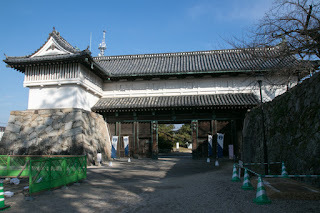 Next year Iekane raised his army under the support of Kamachi clan and recovered Saga castle, thus restored the clan. 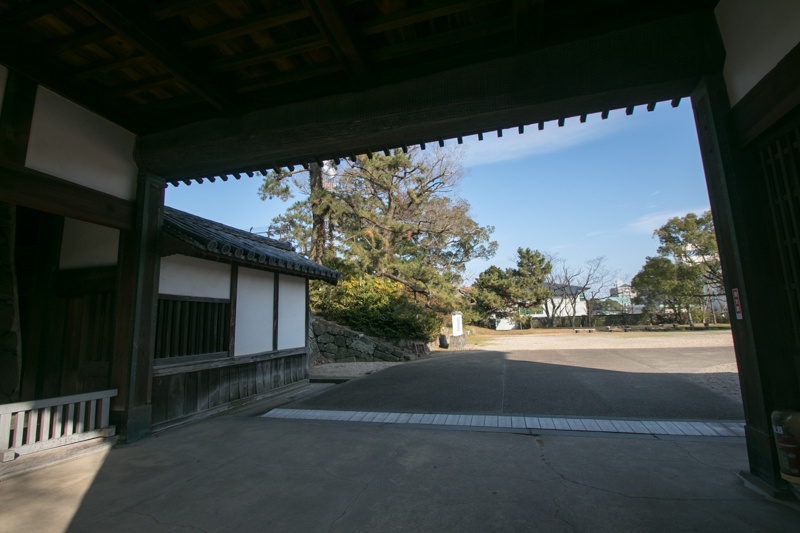 Tekane died in the ill next year, and Takanobu Ryuzoji succeeded Ryuzoji clan. 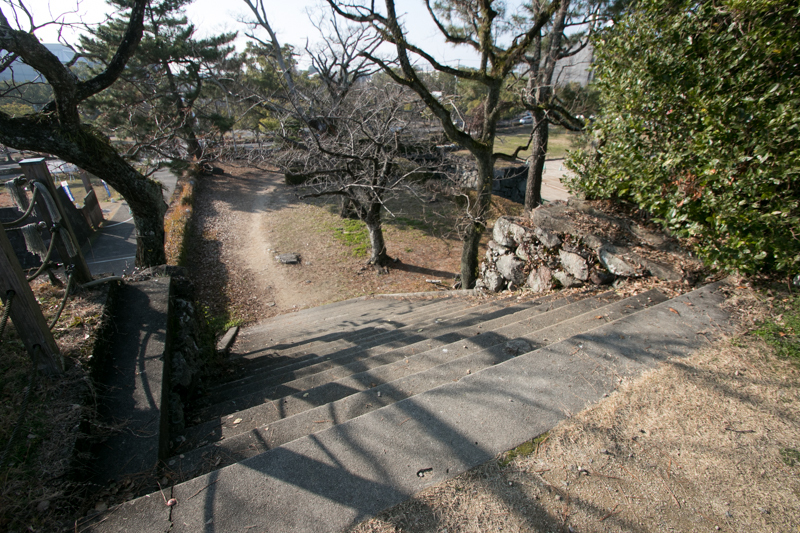 Takanobu was a talented person from youth. He grew up at a temple and was evaluated that he could be a good monk after growth. He was good at decisiveness, and his word stating "too much consideration harms the situation" remains until now. 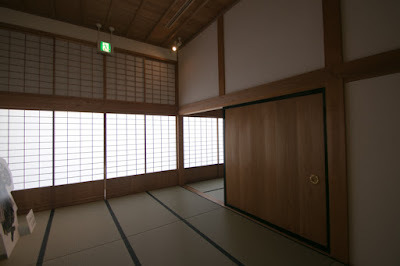 But because of his miserable experience in the youth, Takanobu did not trust other person and arrogant. 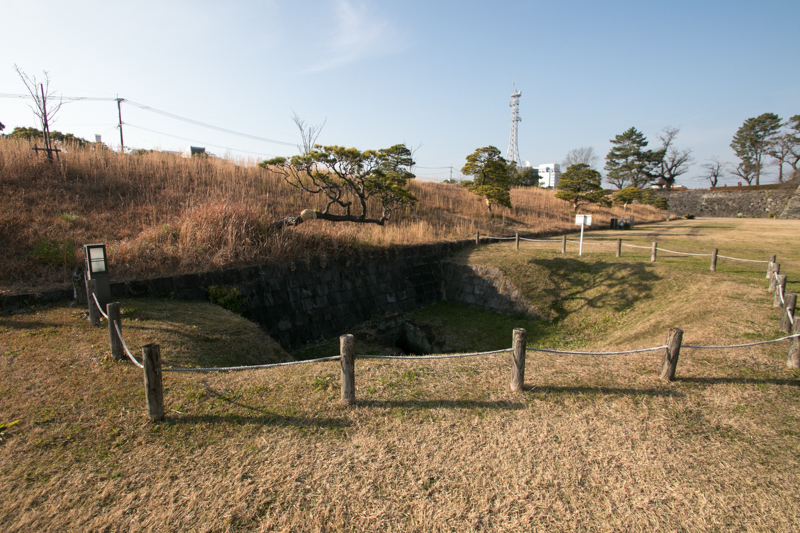 Naoie Ukita (1529-1582) who was the warlord of Bizen province (Okayama prefecture) also became a warlord after the loss of his family and grew into a cold-blood schemer. Takanobu succeeded his leader position under the support of Ouchi clan, but Ouchi clan was virtually ruined by the revolt of their important retainer Harukata Sue (1521-1555) in 1551. 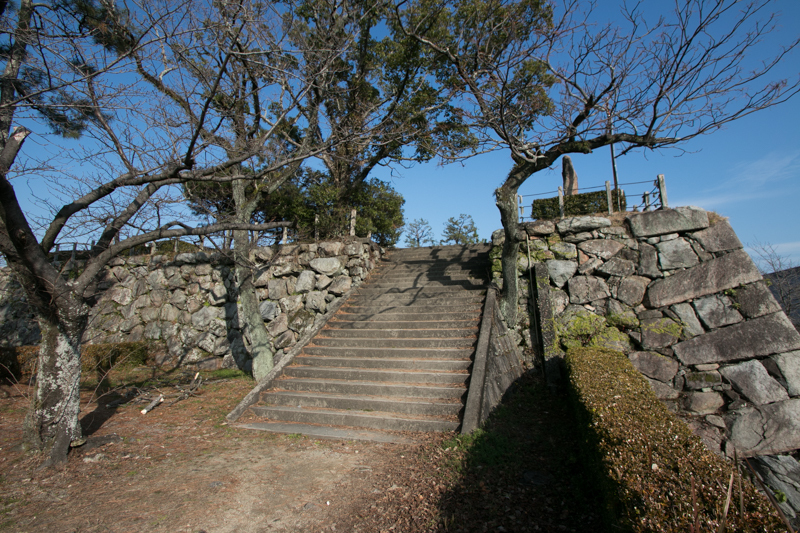 Takanobu lost support of Ouchi clan was once expelled from Saga castle, and escaped to Kamachi clan again. 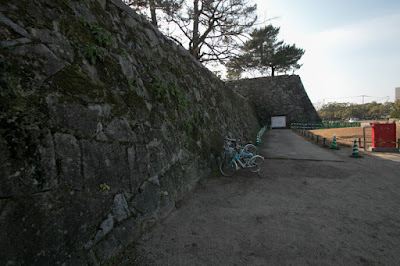 But two year later Takanobu raised his army supported by Kamachi clan and retrieved Saga castle. Takanobu beat opposing local lords and fixed his sphere, and finally ruined Shoni clan in 1559. 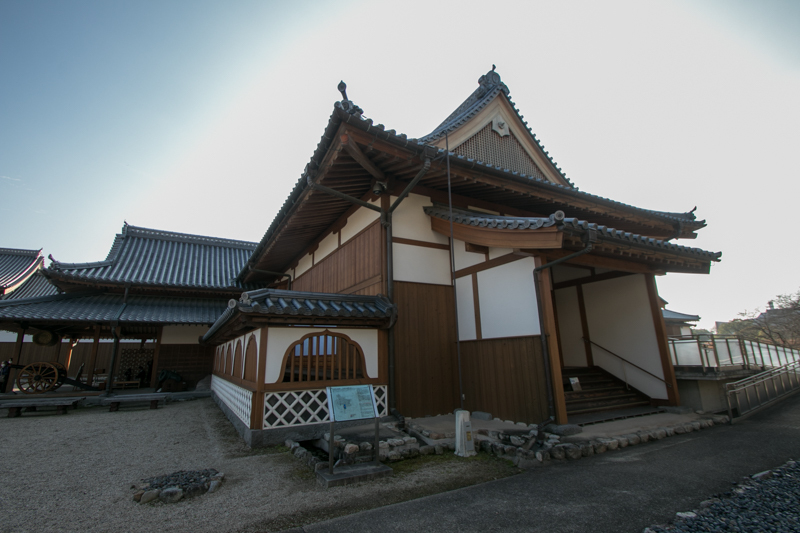 Around this time, mother of Takanobu who lost her husband in 1545 married again, and Naoshige Nabeshima (1538-1618) became the brother in law of Takanobu. 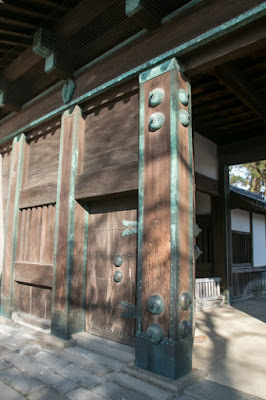 Naoshige was a brave general, but also had a cleverness and coolness contrary to Takanobu. 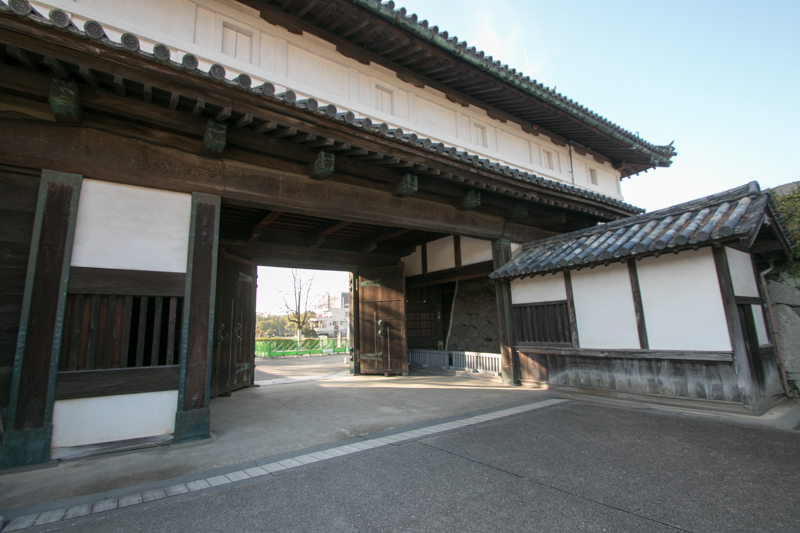 Having the good combination of decisiveness of Takanobu and coolness of Naoshige, Ryuzoji clan continued it growth. 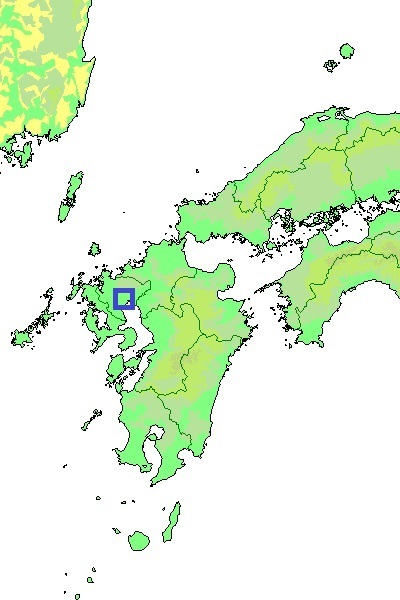 Rise of "Bear of Hizen"
In 1562, Arima clan who was the lord of Hinoe castle (Nagasaki prefecture) and Omura clan at Kushima castle (Nagasaki prefecture), large lords at the western part of Hizen province, cooperatively attacked Ryuzoji clan to stop its expansion. 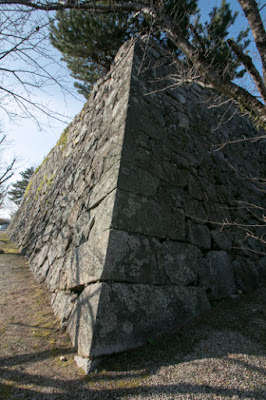 But Takanobu rejected this attack and reversely forced them to follow to Ryuzoji clan. Around 1570 Yoshishige Otomo (1530-1587, know as Sorin) who was the powerful warlord of Bungo province (Oita prefecture) and lord of Usuki castle (Oita prefecture), attacked Takanobu then encircled Saga castle by dominant army. 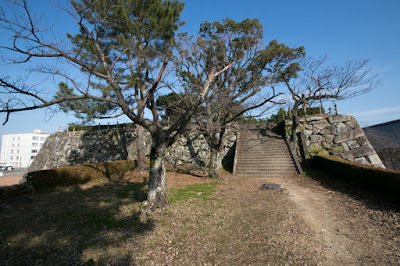 As Saga castle was protected by numerous creeks Otomo army hardly capture it, but after half year siege Ryuzoji army also suffered from the shortage of supplies. Facing this situation Takanobu once thought to surrender, but due to the opposition of his mother Takanobu decided to fight. Based on the plot of Naoshige, Ryuzoji clan pretend to surrender to Otomo army and let them off guard, and made a desperate night attack to Otomo army. 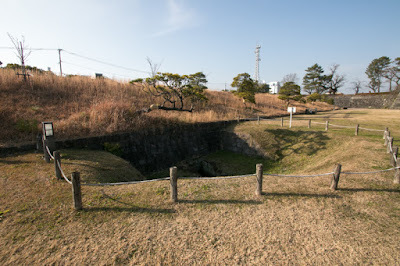 This attack made a severe damage to Otomo clan, and Chikasada Otomo (?-1570), commander of Otomo army and younger brother of Yoshishige died in the battle. 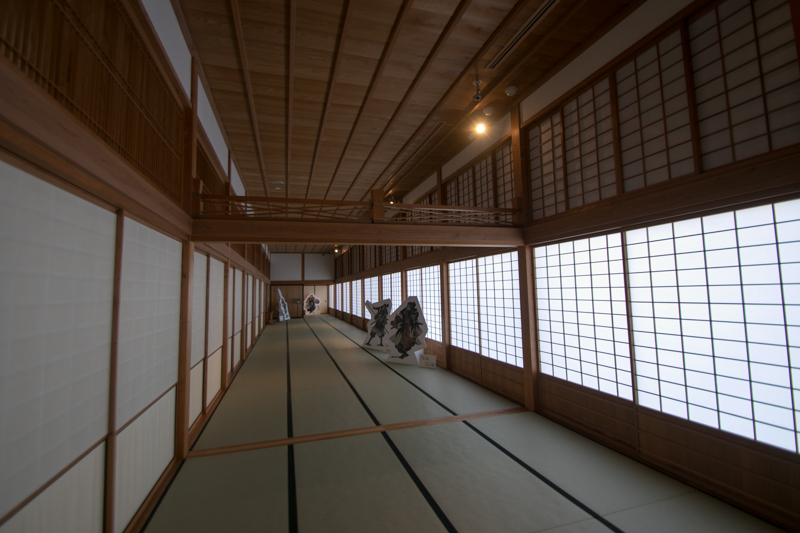 As Otomo army still had superior army Ryuzoji clan finally coordinated with Otomo clan, but it was just a nominal subordination and kept its independence. 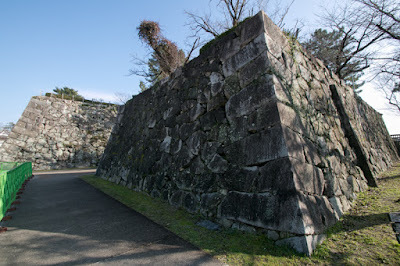 In 1578, Otomo army was thoroughly defeated by Shimazu clan, the warlord of Satsuma province (Kagoshima prefecture) at Ichiuji castle (Kagoshima castle), on the battle of Mimikawa, and lost their authority and power. 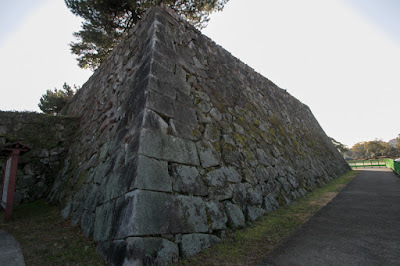 Utilizing this opportunity, Takanobu clearly left Otomo clan and aggressively attacked Chikugo province (south part of Fukuoka prefecture) held by Otomo clan. Next Takanobu expanded their power to surrounding nation such as Chikuzen and Buzen province (north part of Fukuoka prefecture) or Higo province (Kumamoto prefecture), and known as one of the triangle power along with Otomo clan and Shimazu clan. Due to his braveness and decisiveness, Takanobu was praised as the "bear of Hizen (province)", and regarded as one of three strong power of Kyushu island along with Otomo clan and Shimazu clan. 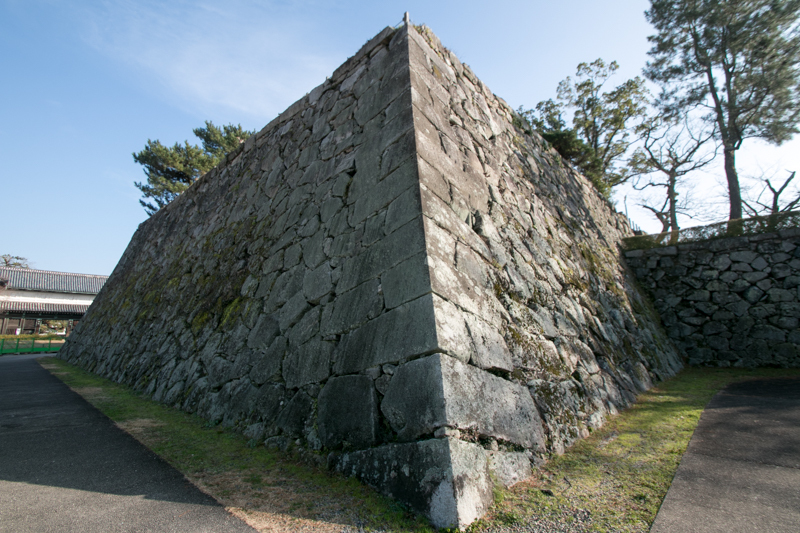 But among the rapid expansion, Takanobu made many tyrannical acts. Takanobu became hostile with Kamachi clan which was the lord of Yanagawa castle and formerly supported Ryuzoji clan twice then married with Takanobu's daughter. 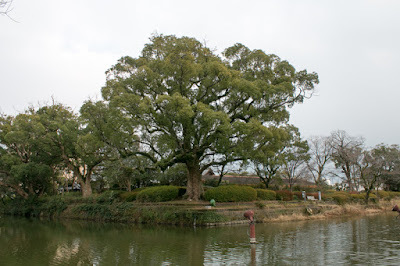 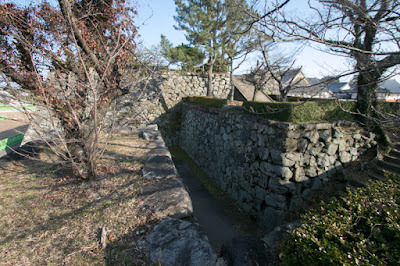 Takanobu attacked their residence Yanagawa castle (Fukuoka prefecture) but could not fall it protected by layer of creeks. Takanobu made a fake agreement with Kamachi clan and called Kamachi people for a party, and killed all participants. 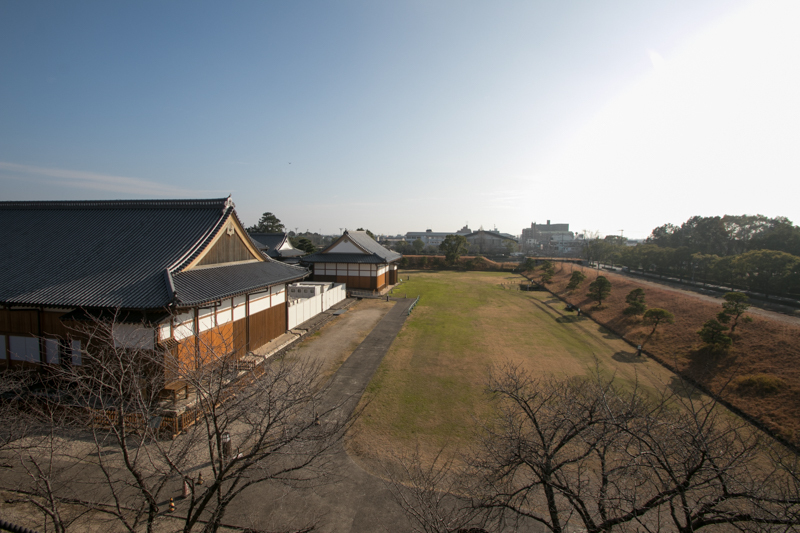 This behavior invoked antipathy and non obedience of other local lords to Ryuzoji clan, and daughter of Takanobu who lost her husband killed herself hearing this news. 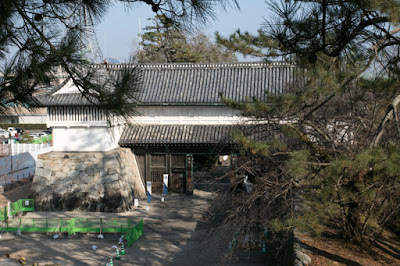 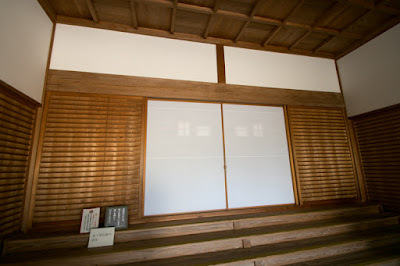 Takanobu placed Naoshige at Yanagawa castle, but around this time Takanobu did not hear admonitions of Naoshige any more. 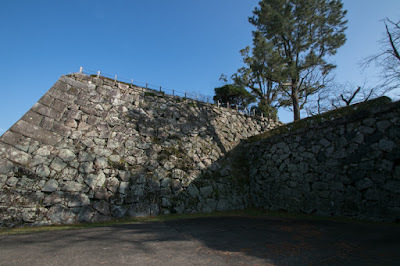 In addition to this, Takanobu easily killed many local lords or hostage to control them. This policy worked in short term, and attracted hate to Takanobu here and there. 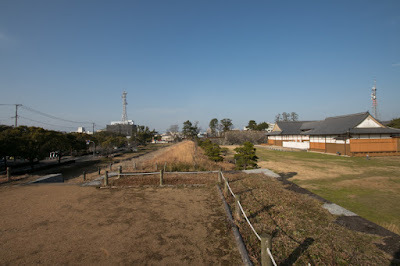 In 1584, Arima clan which was the lord of Shimabara peninsula connected to Shimazu clan and left Ryuzoji clan. In May furious Takanobu left large army and had a battle against an alliance of Arima clan and Shimazu clan at the place of Okitanawate, in the east coast of Shimabara peninsula. 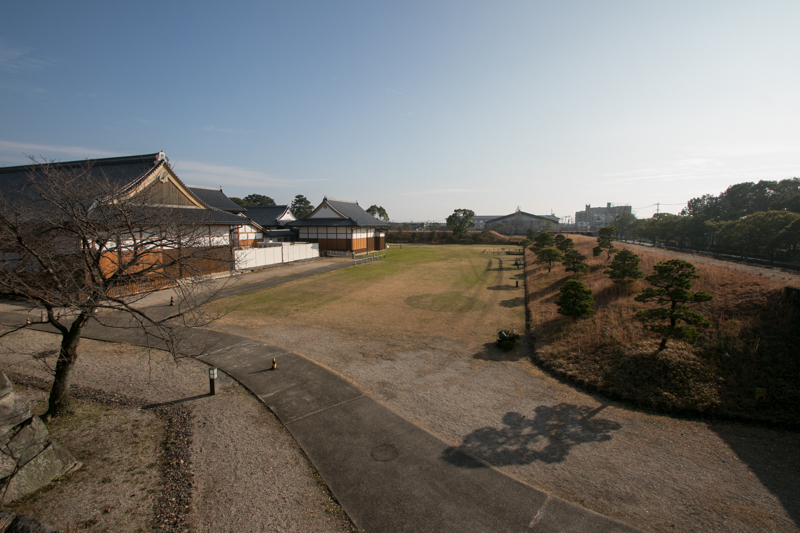 Alliance of Shimazu army and Arima army was below 10,000 soldiers and far interior to Ryuzoji clan which had over 30,000 soldiers. 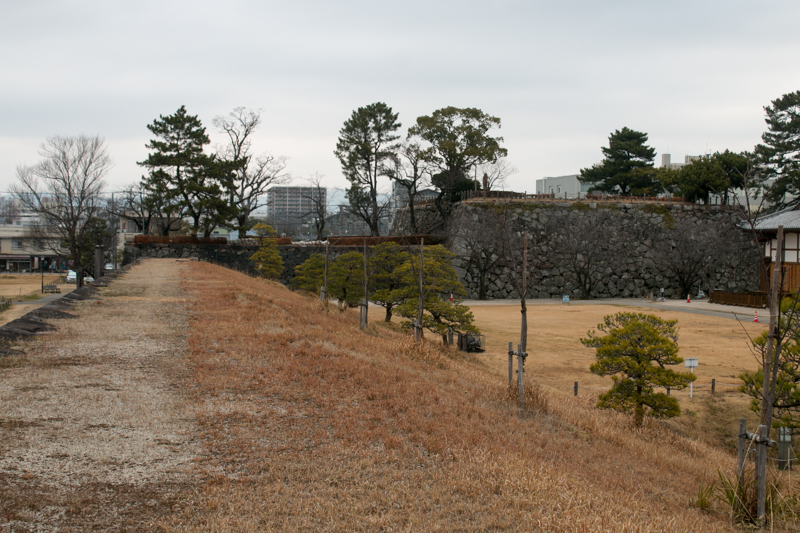 But Shimazu army was lead by Iehisa Shimazu (1547-1587), who was known for brilliant tactics. Iehisa chose a narrow place named as Okitanawate, being surrounded by coast and mountain and having a narrow way with dumps as a battlefield. Iehisa planned to use ambush tactics and hide detachment force in the dump. 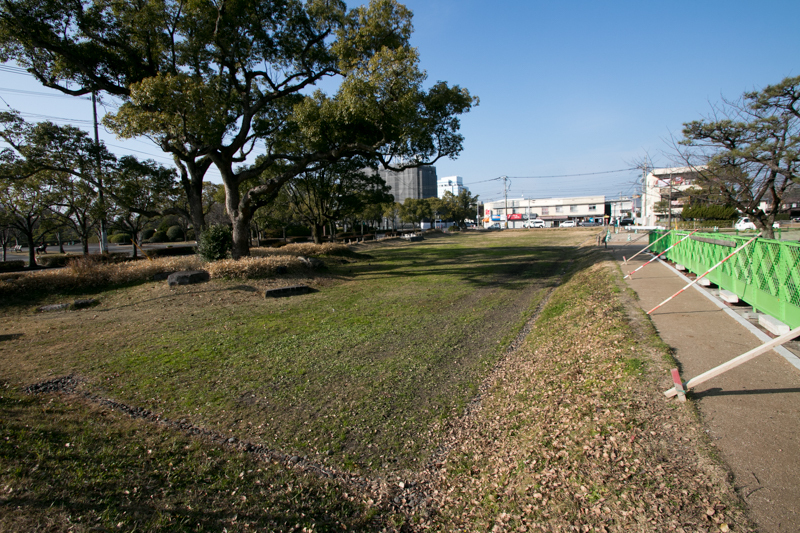 Actual battle proceeded as planned by Iehisa. Takanobu who saw the small troops of Shimazu army ordered the vanguards to make a force attack to Shimazu army, but these vanguards faced strong resist of Shimazu army and could not break the defense line. Irritated Takanobu ordered to forward his direct army and thrust into a narrow way, but at this timing vanguard of Ryuzoji army was defeated by ambush of Shimazu army and run away toward backward. 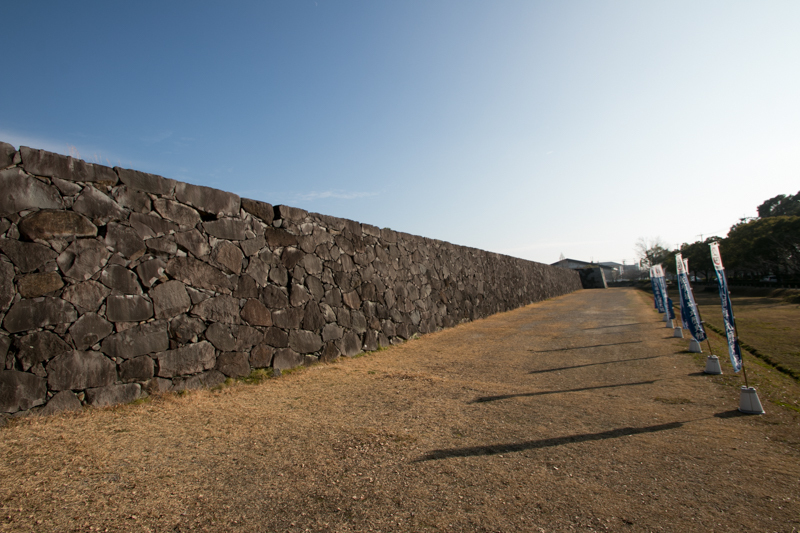 This confused whole Ryuzoji army, and guards of Takanobu ran away leaving Takanobu at the battlefield. It is said that Takanobu was too fat to ride a horse, thus used palanquin at this battle. 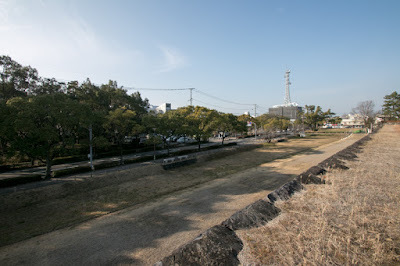 Anyway Takanobu was killed by Shimazu army at the battlefield, and brave generals of Ryuzoji clan such as Nobutsune Eriguchi (1548-1584), Nobukatsu Narimatsu (1540-1584), Tomokane Hyakutake (?-1584), Nobutane Enjyoji (?-1584) and Masanao Kinoshita (?-1584), who were known as Four Devas of Takanobu (although they were five), also shared the fate with their master. 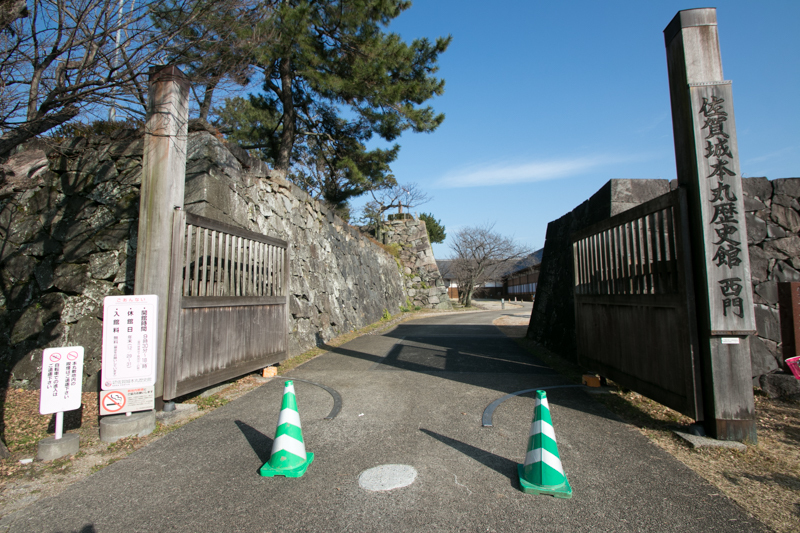 The hegemony of Ryuzoji clan collapsed in only one day. 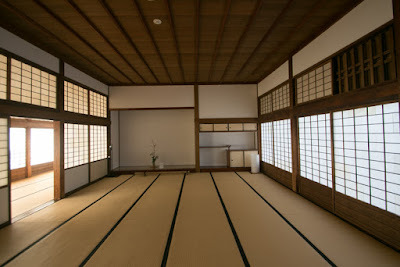 Considering rapid rise and unpopularity of Ryuzoji clan, Ryuzoji clan might disappear at this point. But Naoshige Nabeshima barely left the battlefield strongly guarded Saga castle and rejected recommendation of surrender by Shimazu clan in exchange of the body of Takanobu. Finally Ryuzoji clan temporally followed Shimazu clan, but waited for the chance of the recovery of independence tenaciously. 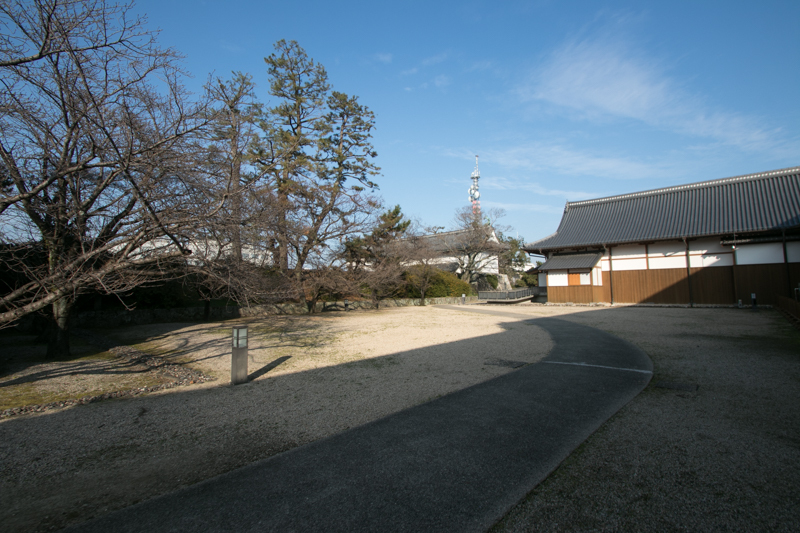 At that time Hideyoshi Toyotomi (1537-1598) gradually established his hegemony in the central area, and Naoshige pretended to follow Shimazu clan but had a contact with Hideyoshi. In March 1587, Hideyoshi who became the ruler of the Japan started his campaign against Shimazu clan and landed Kyushu island. 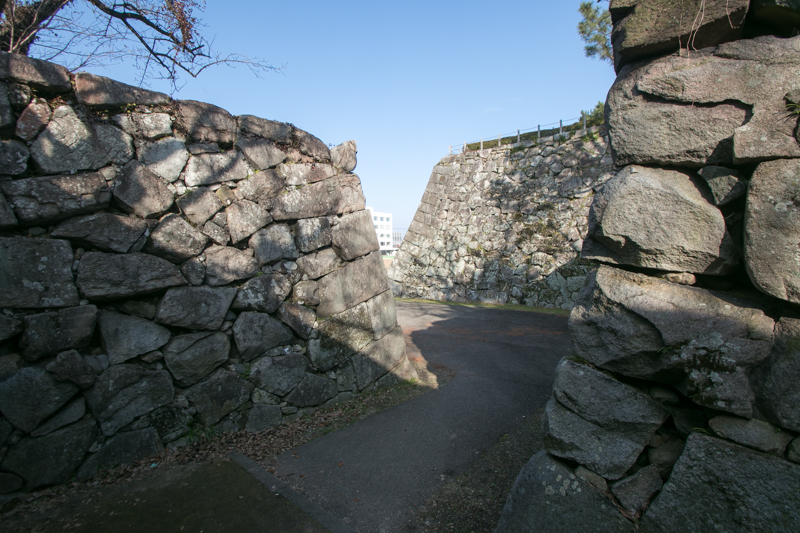 Hideyoshi captured north part of Kyushu island only in one month, and Naoshige Nabeshima also followed to Hideyoshi as communicated. 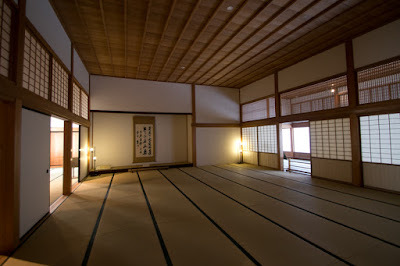 Hideyoshi agreed the continuation of Ryuzoji clan by Masaie Ryuzoji (1556-1607), son of Takanobu, but also highly evaluated the foresight of Naoshige and treated him as a virtual leader of Ryuzoji clan. Finally in 1590 Hideyoshi ordered Masaie to retire, and formally recognized Naoshige as a leader. At this time Otomo clan was expelled by Hideyoshi because of incompetent leader, and Ryuzoji clan could not survive if they rejected this treatment. 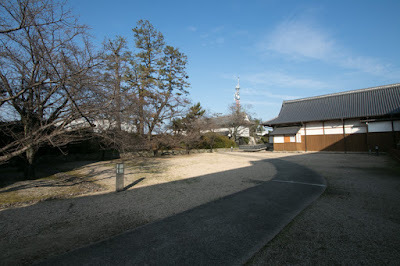 After the death of Hideyoshi in 1598, the battle of Sekigahara between Ieyasu Tokugawa (1543-1616), the largest lord under Toyotomi government and Mitsunari Ishida (1560-1600), the chief administrative staff of Hideyoshi, occurred for the next hegemony. 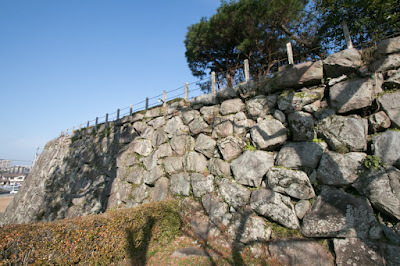 At first Katsushige Nabeshima (1580-1657) supported Mitsunari and attacked Fushimi castle and Tsu castle at Ishida side. But Naoshige looked at the situation judged Ieyasu would won, then ordered Katsushige to support Ieyasu in central area, and attacked castles of Ishida side lords in Kyushu island such as Kurume castle or Yanagawa castle. After the battle of Sekigahara, Naoshige was approved as a feudal lord of Saga domain by Edo Shogunate. 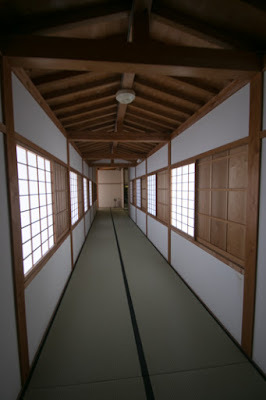 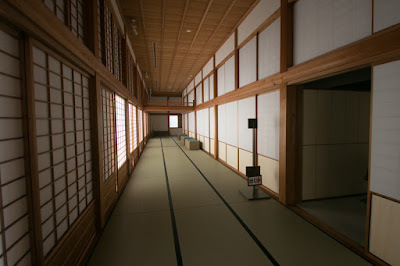 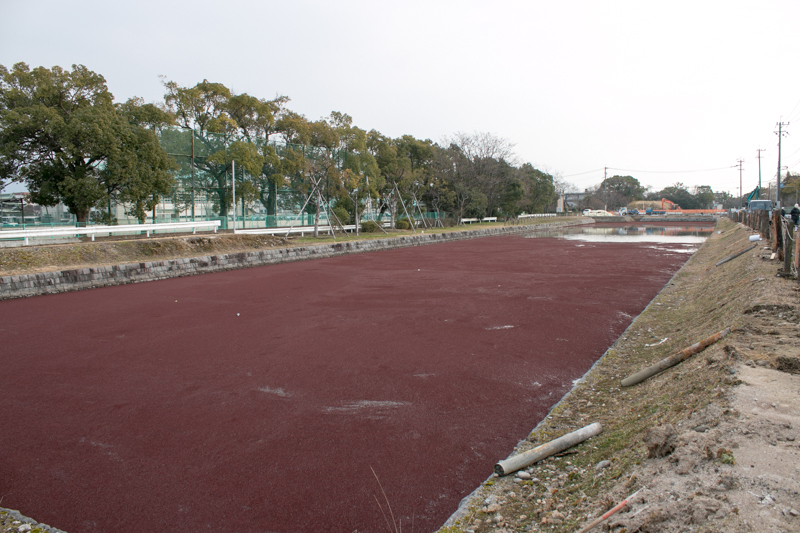 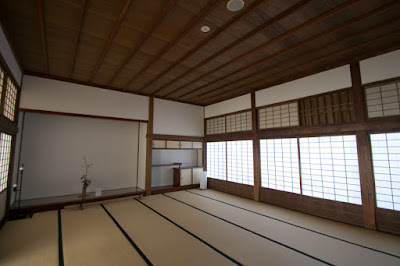 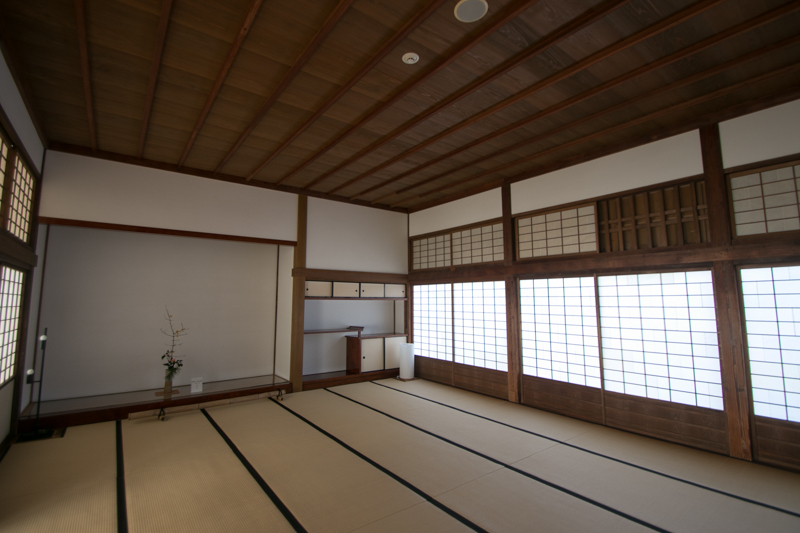 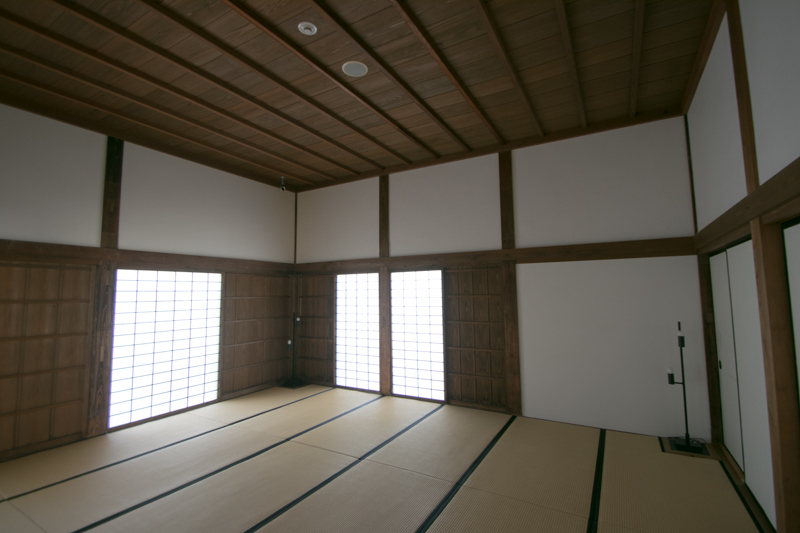 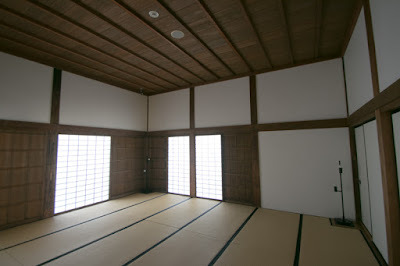 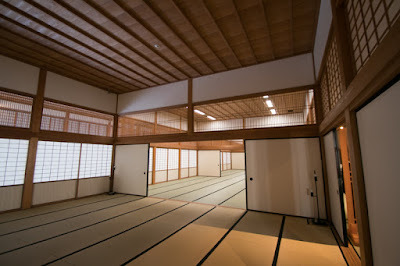 Naoshige who became a large feudal lord started to renovate Saga castle into a modern one matching to the territory. 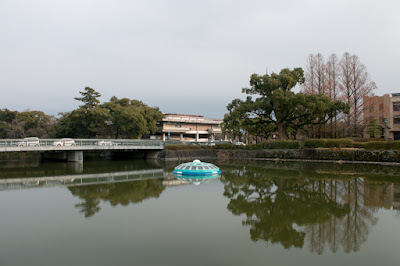 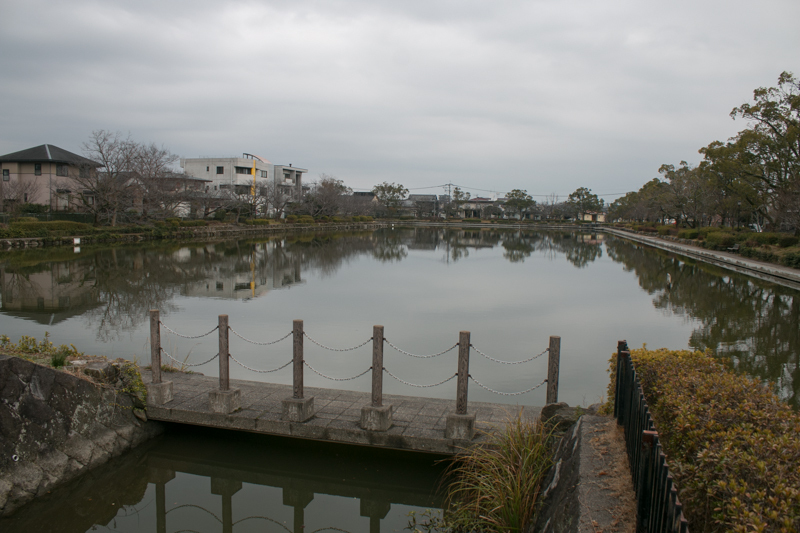 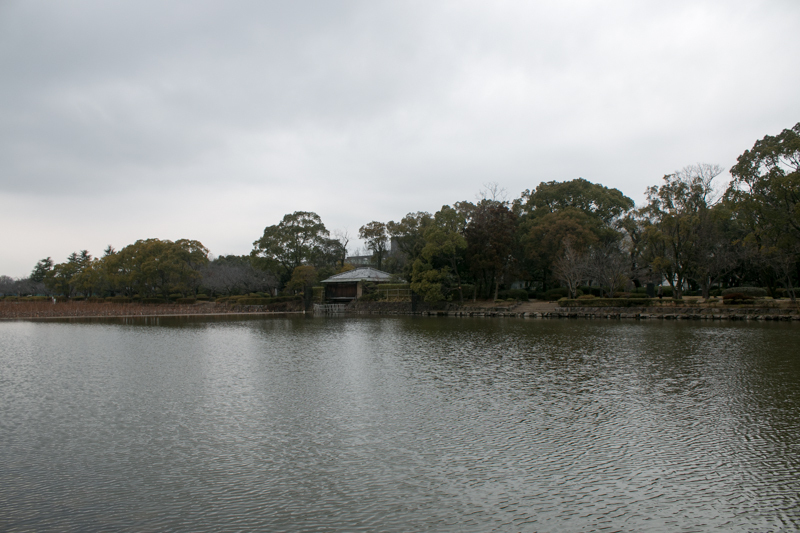 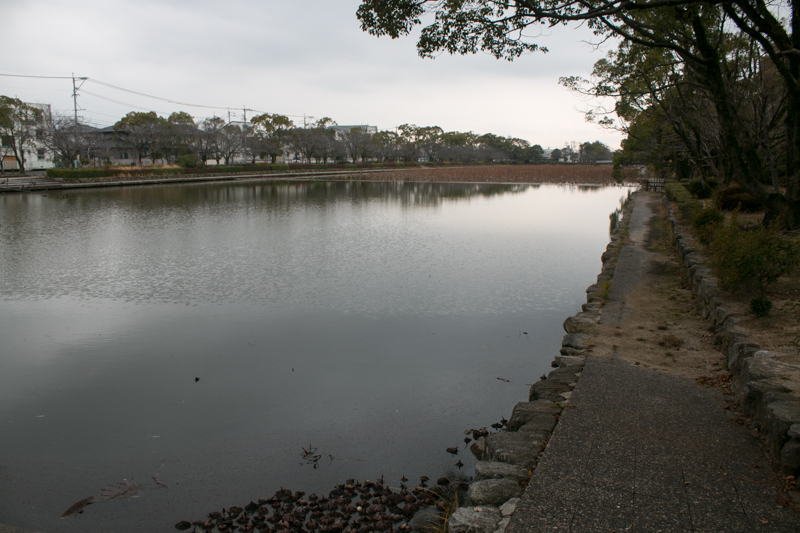 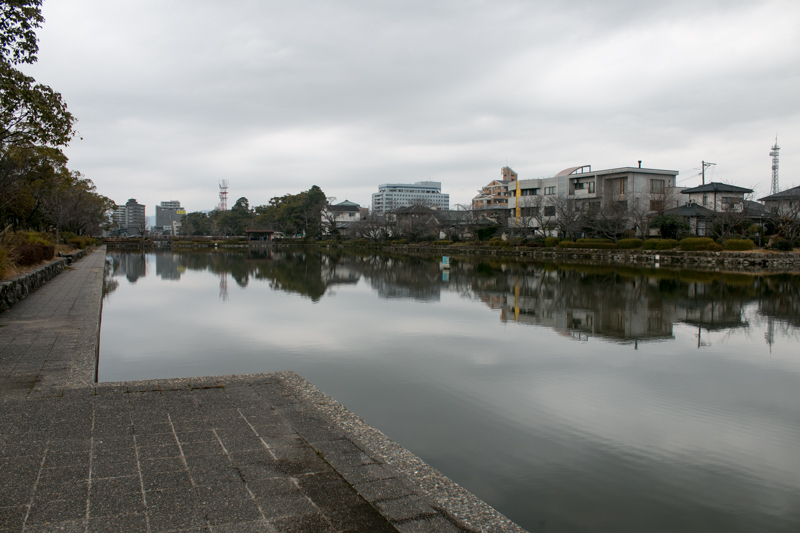 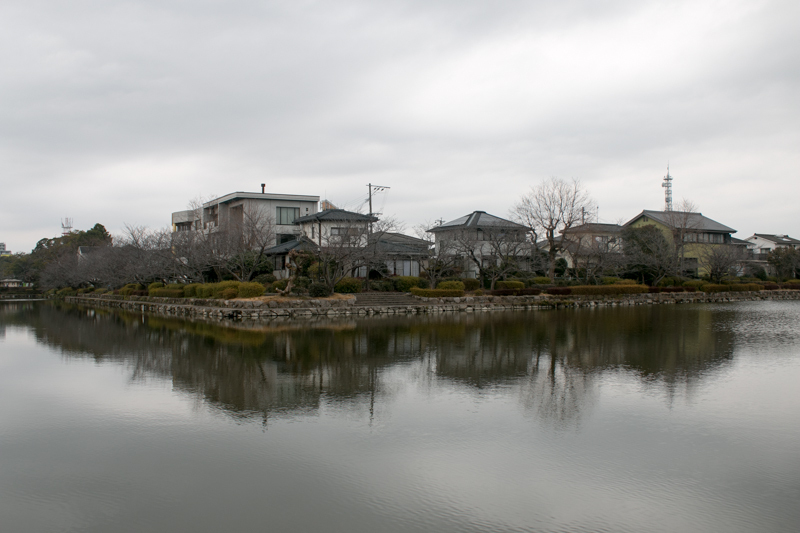 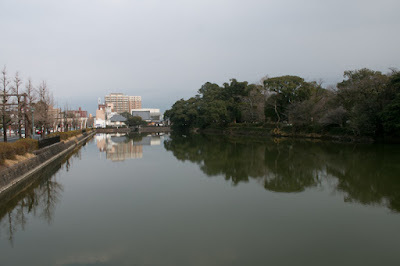 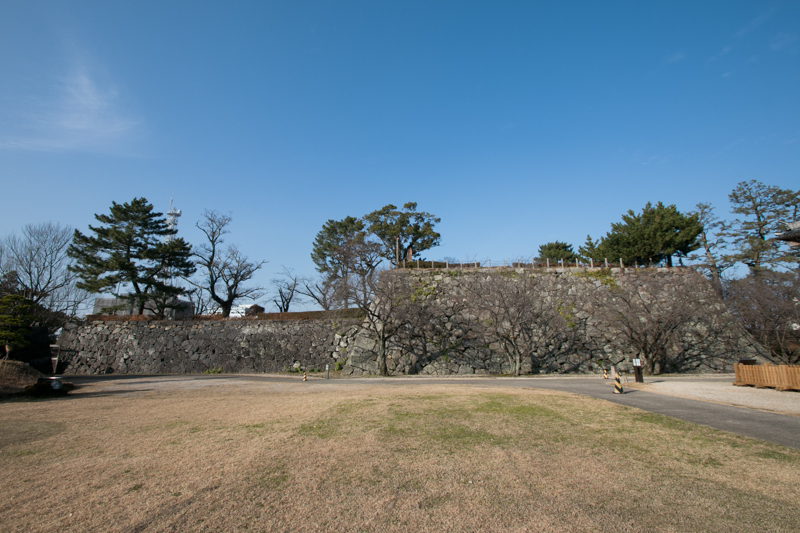 The basic structure of Saga castle is a 600 meter long square, surrounded by 100 meter wide outer water moat. The central area of the castle is a 200 meter long square area occupied the southwestern edge of the castle, and separated from other part of the castle by dry moat. Saga castle is basically a traditional style castle consist of clay wall, but the front side of central area facing inside has a exterior of modern castle equipped with stone walls, large "Masugata" style main gate and main tower. 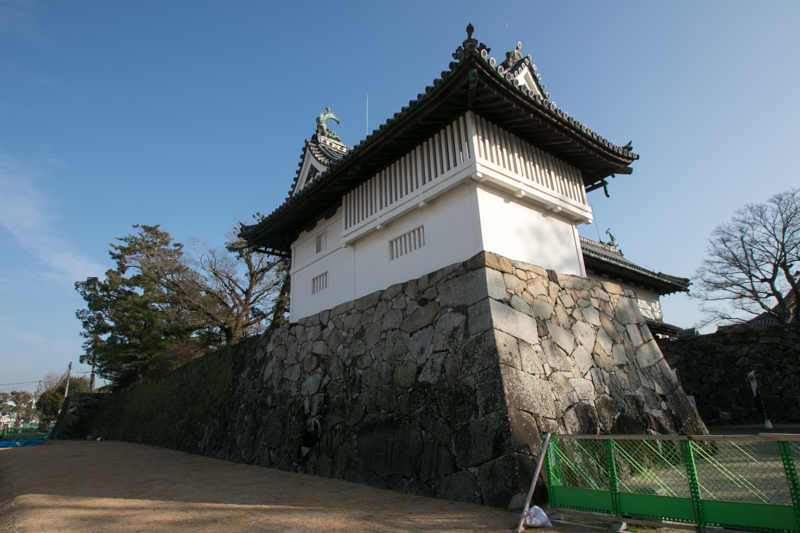 It is said that the main tower of Saga castle was a four story five floor one, and resembled to the one of Kokura castle (Fukuoka prefecture). 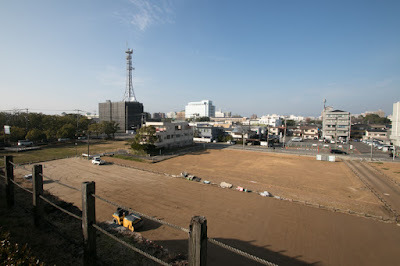 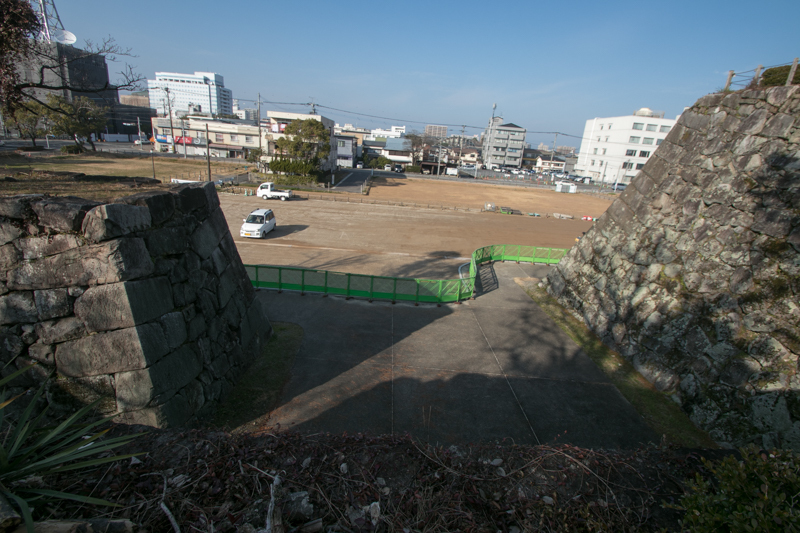 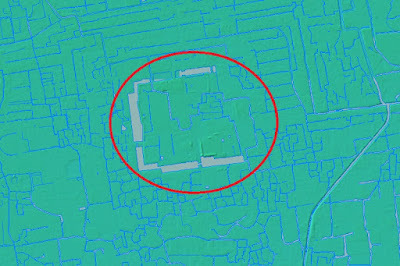 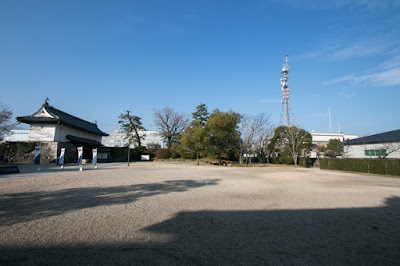 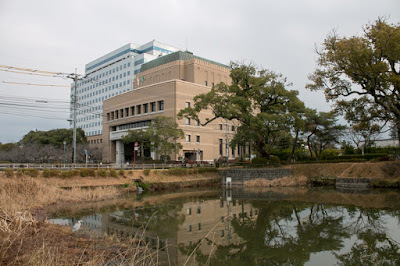 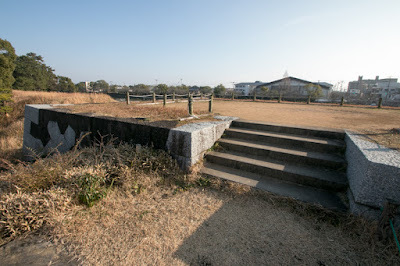 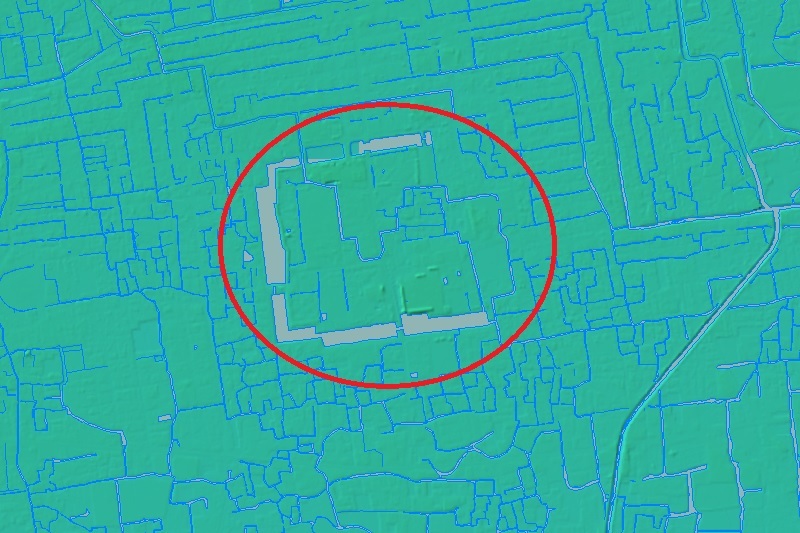 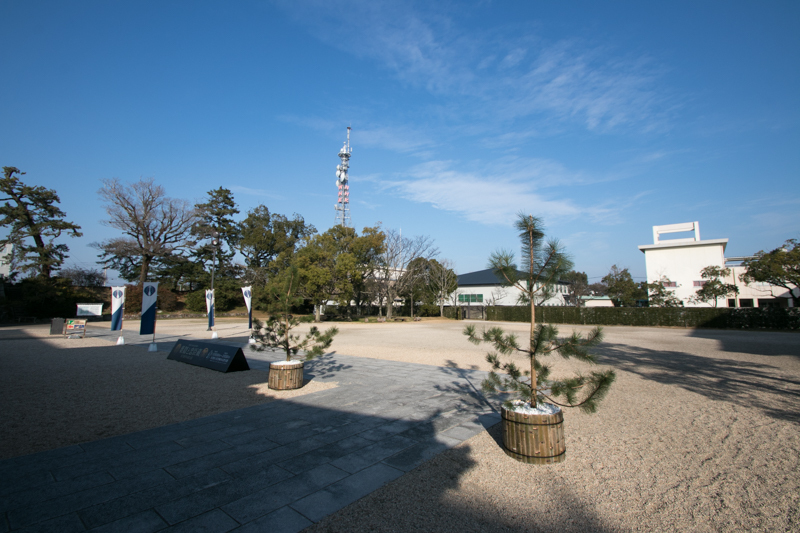 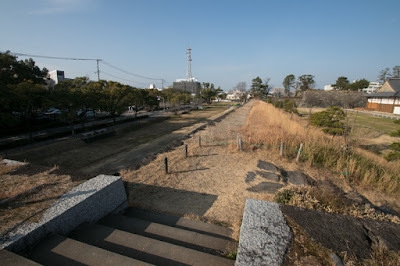 Looking at the shape of the castle, originally the central area used by Ryuzoji clan existed at the center of the castle, current place of broadcasting company building. 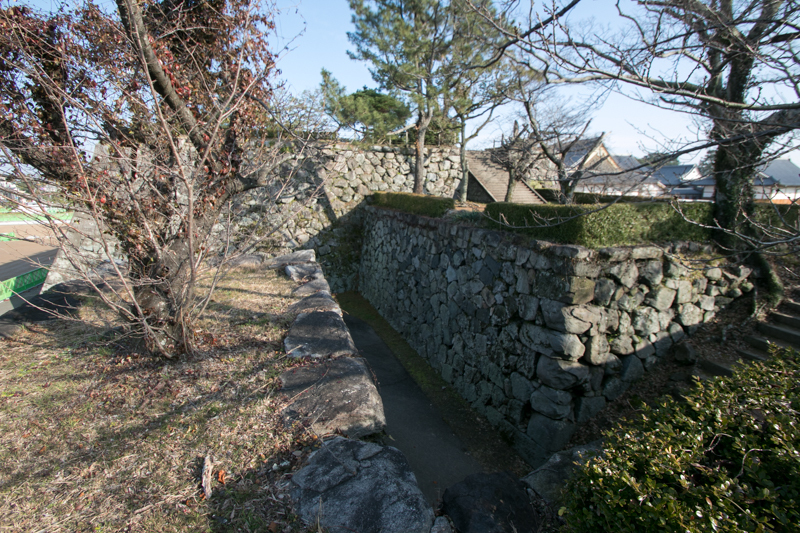 Current central area might be the part of outer area used by Nabeshima clan, and later was transformed into the central area of the castle along with the succession of Ryuzoji clan by Naoshige. Naoshige could not use the original place of Ryuzoji clan considering antipathy of surviving Ryuzoji people and other retainer, and had to use at their original area at the outer part of the castle. 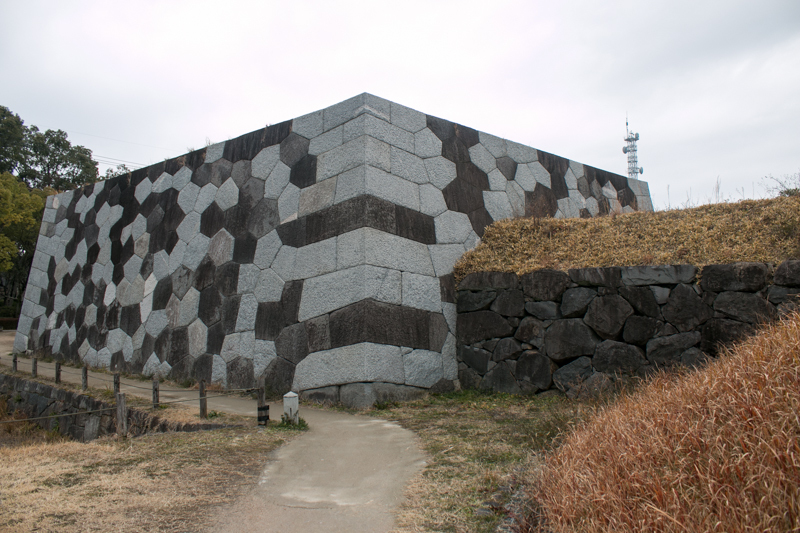 But to show authority as a feudal lord approved by central government, Nabeshima clan intentionally built a modern looking stone wall and central tower at their area toward inside of the castle. 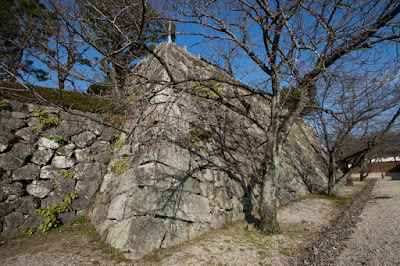 Naoshige did not harm remaining Ryuzoji people, but Ryuzoji people were dissatisfied by not being the leader of the clan. In 1607 Takafusa Ryuzoji (1586-1607), son of Masaie, finally killed himself by anger, and Masaie died in ill by the shock of this incident. 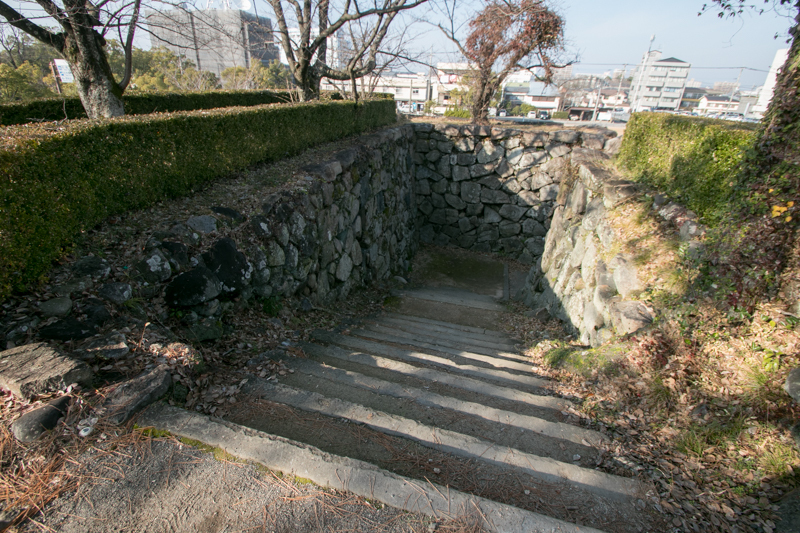 Now the main stream of Ryuzoji clan became extinct, but this succession was still as a ill feeling in Saga domain. 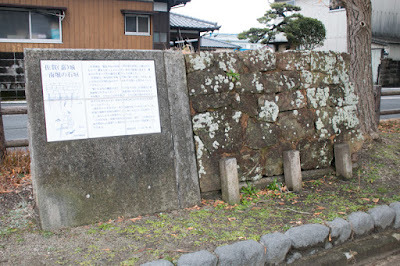 This fact changed to a tale that the cat lapped the blood of Ryuzoji people who died having grudge against Nabeshima clan became a monster cat and appeared at Saga castle every night, then cursed Nabeshima people. 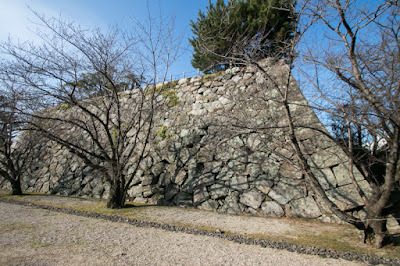 But finally this monster cat was exterminated by a samurai of the domain and Nabeshima clan was saved. 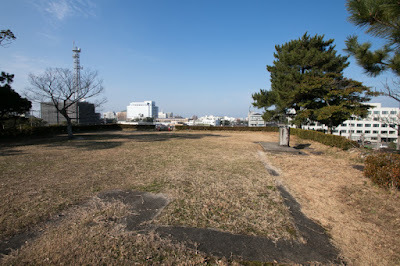 Saga domain at first suffered from the effect of take over, but overcame this problem and became united under the mind of "Hagakure", a book written by domain retainer emphasizes ideal way of Samurai. 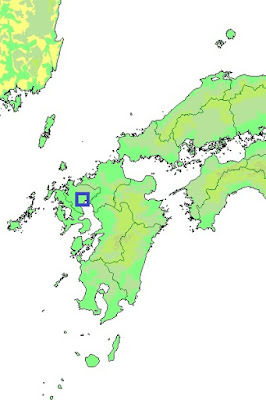 Utilizing good agricultural production and closeness to Nagasaki port, only one trading port to Western world in Edo era, Saga domain increased their power and became one of four leading domains at the time of Meiji revolution along with Satsuma domain (Kagoshima prefecture), Choshu domain (Yamaguchi prefecture) and Tosa domain (Kochi prefecture). 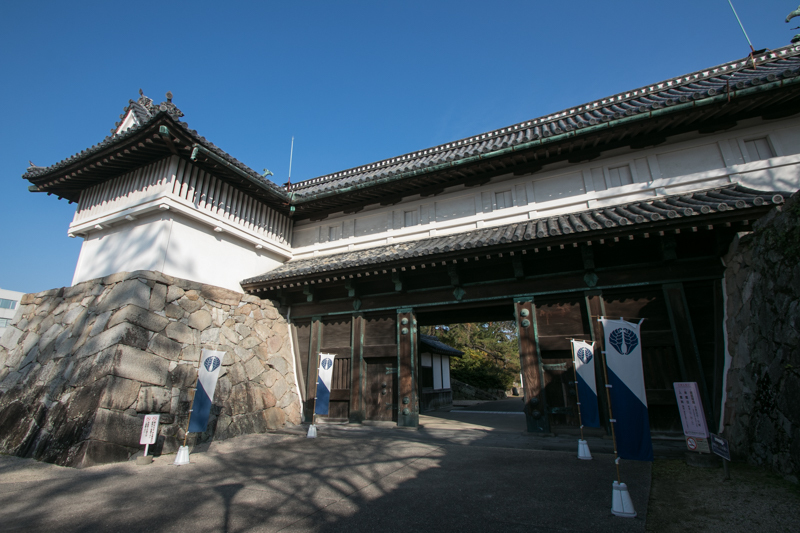 Saga castle lost many buildings including main tower in Edo era, and many buildings except for main tower were reconstructed each time. 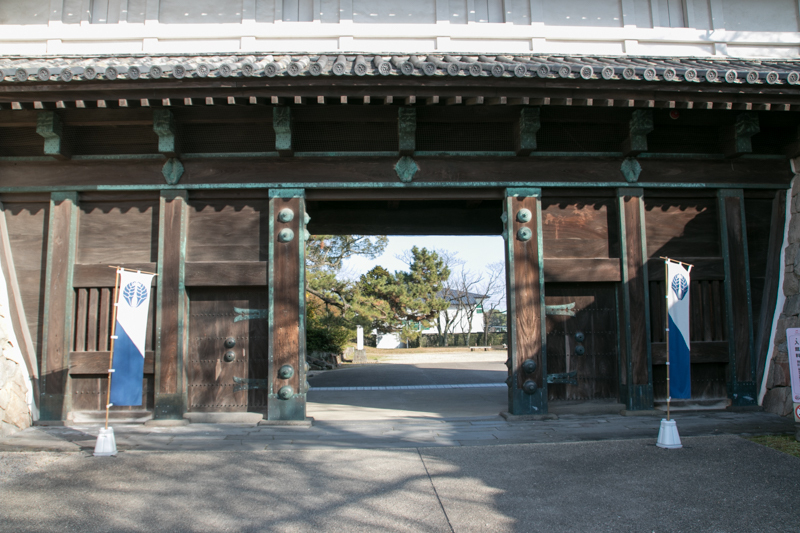 But in 1874, because of "Saga no Ran" (rebellion of Saga) lead by Shinpe Eto (1834-1874), former retainer of Saga domain and one of the former leaders of Meiji new government, most buildings except for main gate were burned down. 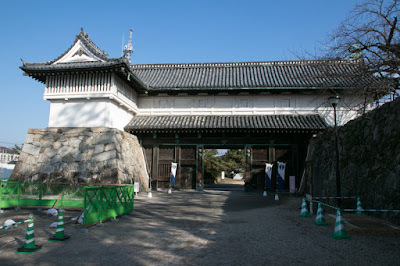 Now main gate of the castle named "Shachi no Mon" (gate of grampus) still shows its stately shape in front of the central area, and good part of wide outer water moats still surround the castle. 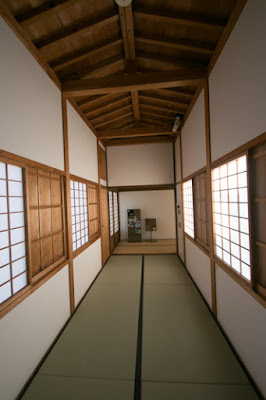 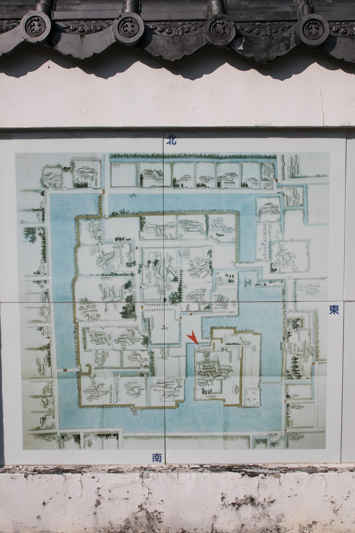 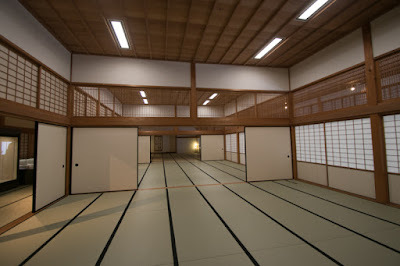 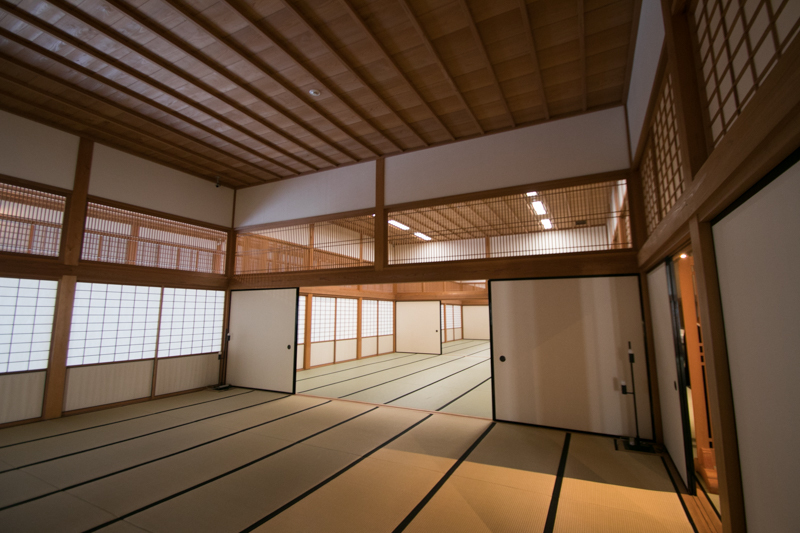 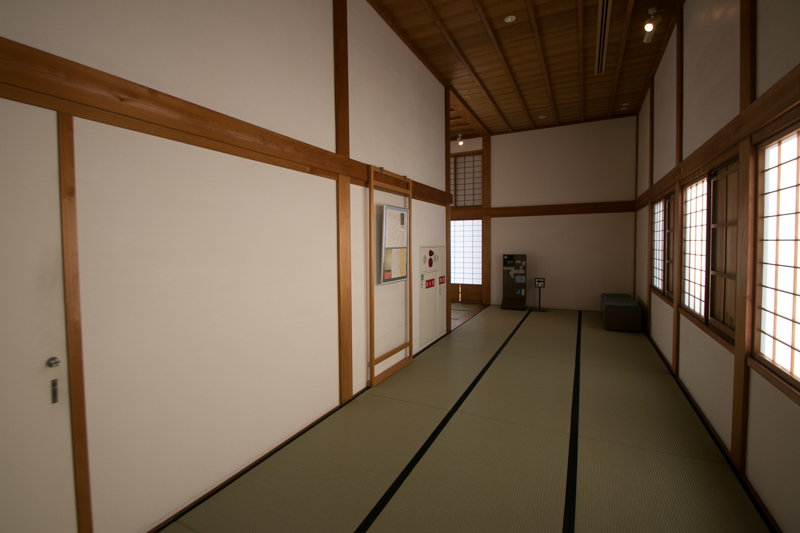 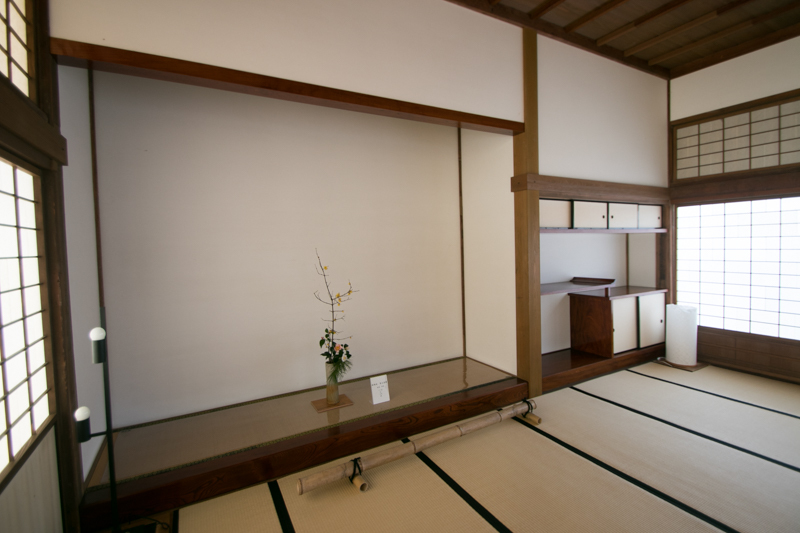 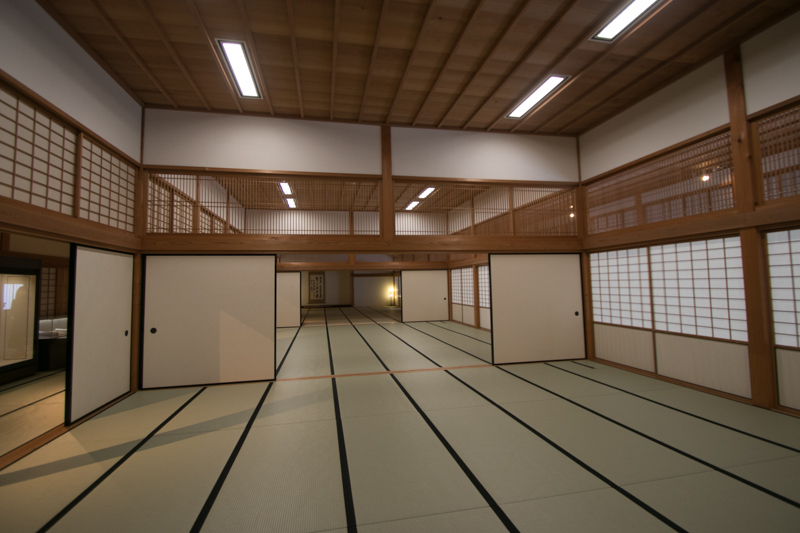 In addition to remaining ruins, recently central area palace residence was reconstructed in original shape. 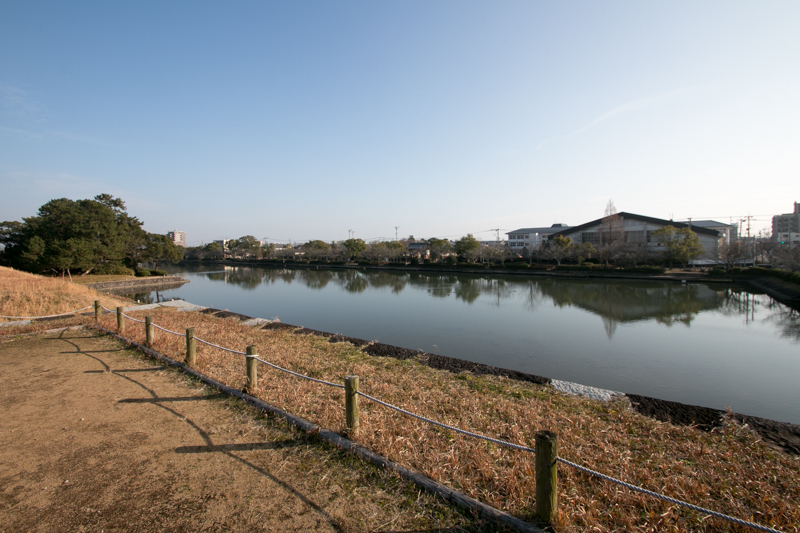 20 minutes walk from JR Kyushu Nagasaki-Honsen line Saga station. 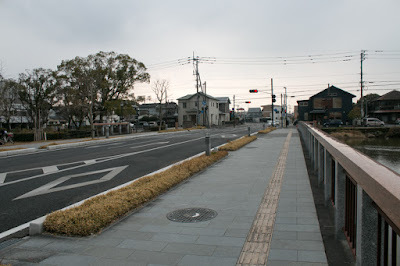 20 minutes drive from Nagasaki-Jidoshado Expressway Saga-Yamato interchange.